Celebrities ranging from Hollywood stars to professional athletes are known to make millions. But not all of them spend like rich folks. Some clip coupons. The following celebrities have fessed up to the practice publicly and are only too happy to share their frugal knowledge. For some of the rich and famous, couponing stems from humble upbringings. For others, it’s a reflection of their ability to appreciate the value of a dollar saved despite millions of dollars earned. Like the rest of us, the rich and famous use coupons for certain types of purchases more often than others. Some celebrities love to use coupons for groceries and eating out. Others use them for just about anything from Bed, Bath & Beyond. Here are some of these famous couponers. “I go to the supermarket, make sure I get the newspaper and tear the coupons out; save a dollar or two. … I’m human too,” he explained. Professional basketball player Roy Hibbert , currently of the Los Angeles Lakers, told “The Dan Le Batard Show” that coupons are an example of how he lives modestly. “Going to restaurants, I make sure if I have a coupon, I use it. I try to live like I’m a normal person,” he explained, according to a transcript on SportsRadioInterviews.com. Hibbert said he gets his coupons from the newspaper. Thiessen said she’s proud to use coupons to buy healthy food — when she’s not picking produce from her own garden or the farmers market, that is. Country singer Carrie Underwood clips coupons for her weekly grocery shopping trips. But she also admitted to usually forgetting her coupons. 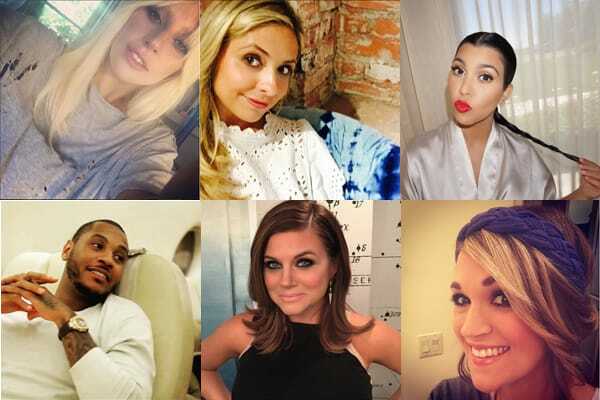 Your Turn: Are you surprised by any of these celebrity coupon-clippers? Did we miss one of your favorite frugal celebs? Let us know in the comments! This post originally appeared on Money Talks News. Since 1991, MoneyTalksNews has been producing both video and print to help you make more, spend less and avoid rip-offs.